1 What is Trench Foot? Trench foot or immersion foot is a condition that is caused by lengthy exposure to damp and unsanitary environment. In medical terms, it is referred to as Non Freezing Cold Injury (Nfci) due to the fact that dissimilar to frostbite, it can occur even in temperatures that are not freezing (at 160C). The ailment is popularly associated with the trench soldiers of the First World War who suffered from the disease. Immersion foot requires immediate intervention as in worse situations; it could necessitate amputation of the feet. You are liable to contract NFCI if your feet are unprotected in damp conditions where hygiene is not to standard. When you develop this ailment, the blood vessels usually constrict so as to maintain the body temperature, which is achieved by reduction of blood flow to the feet. 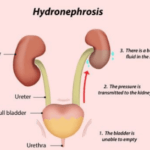 This, therefore, prevents nutrients and oxygen from reaching them. Excessive sweating, wearing soggy shoes or socks can also be reasons for getting trench foot, which can develop within a single day. If you are a poor feeder or have poor sleeping habits your chances of contracting it are even higher(1,4,5,6). Poor foot hygiene on your part, which involves not washing feet regularly and wearing dirty shoes and socks. If the situation is not given medical attention, your feet starts to form blisters, the skin may peel off and tissues and nerves are damaged which lead to gangrene which will necessitate amputation to prevent spread. When trench foot is not discovered early, it may complicate and result in a condition known as gangrene. This ailment is brought about by dying and decaying of the muscle, bone, or skin. Arms, fingers, feet and legs can all be affected by gangrene. In the case of immersion foot, constriction of the blood vessels lead to obstructed blood flow to the feet, which brings about gangrene. Wash your feet thoroughly with water and soap to keep off both bacteria and fungus which exacerbate the situation. After cleaning, make sure you dry your feet. In trench foot, blood does not reach the feet adequately thus you should keep your feet warm using heat packs or warm water bath (soak). When doing so, do not use hot water as it may cause burns when sensation returns. Raise your feet or lie down to enhance blood circulation. Ensure to move your legs and toes by walking around- this also encourages circulation of the blood to the feet. Not only do your feet require warmth but also your whole body and for that reason, you should keep warm. You may cover your feet with a blanket but do not wear socks as they may trap moisture worsening the situation. Change your foot wear and always keep them clean. To reduce pain, antihistamines may be prescribed. These will also help control infection on the wounds. Aluminum chloride may be used as topical ointment to dry the affected area. A few hours after administering heat packs or a warm soak, you may discover that your feet may change color and turn red. The surface becomes dry yet tender and is associated with some pain and discomfort. In addition, effects such as blistering, swelling, and rash development can also be experienced while for some patients, excessive sweating takes place. Wounds on the feet can get infected in the process, hence cleanliness should be upheld. 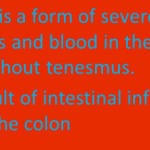 Be on the lookout for signs of infection and seek medical assistance fast because early detection means early treatment and amputation will not be an option for your case. Trench foot healing may take a period of 3 to 6 months after which you will be back on your feet feeling nothing at all. 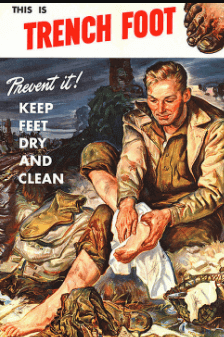 Proper hygiene is the key to staying away from trench foot. Wash your feet with water and soap regularly. Ensure to keep it dry always. You can also keep your feet dry by either smearing your feet with talcum powderor applying Vaseline.